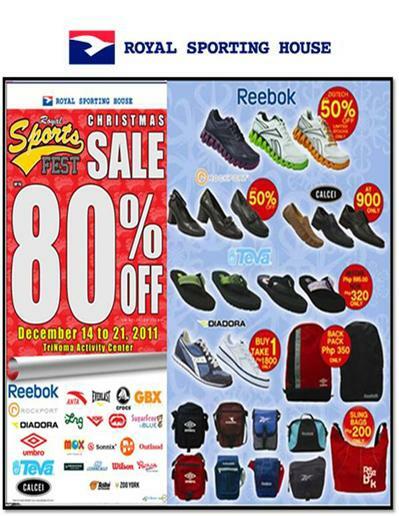 Royal Sporting House Christmas Sale is from December 14-21, 2011. Up to 80% OFF on selected brands and items. Happening only at Trinoma Activity Center.